Sideshow is now accepting pre-orders for their Spider-Man Legendary Scale Figure. The statue is priced at $2,000.00 USD (with a payment plan available) and is limited to an edition size of 275 pieces. As a part of Sideshow’s Legendary Scale collection, everyone’s favorite wall-crawler measures 24” tall in 1:2 scale, perched atop a polystone New York building base. 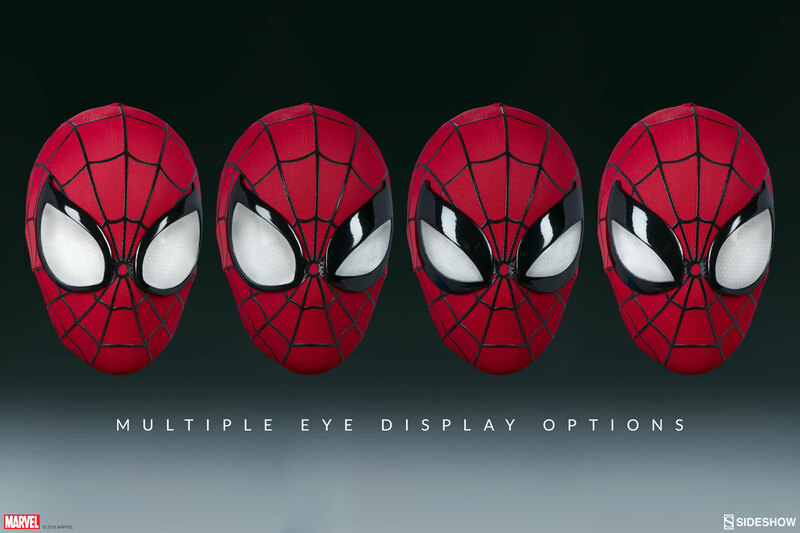 The Spider-Man Legendary Scale Figure also includes swappable eye lenses, allowing you to display the web-head with both modern and classic mask looks, or use one of each to create a more aggressive expression.